Insight Advocacy and Communications specializes in public affairs, communications strategy and public relations for small to mid-size businesses, organizations and non-profits. Started in 2012 and based in Durham, NC, we help organizations educate, engage, build support and affect change through grassroots advocacy, communications, the web and media relations. Insight Advocacy was founded by Charles Hodges, who has more than 17 years’ experience in public affairs, grassroots organizing and advocacy, communications and public relations gained in Washington, DC and North Carolina. Charles started his work in Washington, DC, with the global PR firm Hill and Knowlton Public Affairs, before moving to the American Heart Association where he managed communications for state and federal advocacy initiatives in their Washington, DC based government relations office. Insight was started because we believe organizations of all sizes deserve the services and quality of a big PR and communications firm – without the big price tag. And we believe in one-on-one relationships that provide value to our clients. Before founding Insight, Charles spent more than six years in Raleigh, NC, at Capstrat, one of the largest communications firms in the Southeast and one of the top 40 agencies in the United States, where he provided communications and public affairs services for a range of government relations clients. 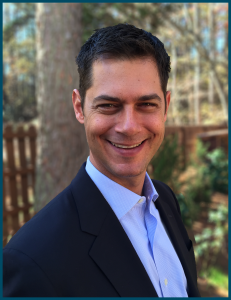 Charles holds a bachelors degree in Communications from the University of North Carolina at Chapel Hill, and he has also completed the Governing for Nonprofit Excellence course at the Harvard Business School. He currently serves as board president for Transitions LifeCare. Insight Advocacy and Communications © 2015 | All Rights Reserved.